The simple answer is yes - you can. To do this, however, you are required to follow some steps. The process of transferring your private number plate onto your brand new leased car is simple. As long as you begin the process in plenty of time, there will be no delays when receiving or returning it. This guide will explain exactly how you go about adding a private registration plate onto a leased vehicle, and if you’d still like to find out more, get in touch with us today – we’re always happy to answer any questions related to car leasing or finance! What is a Private Registration Plate? What is Private Plate Retention? Do Private Registration Numbers Affect Insurance? While this may seem like an obvious question, it’s useful to know exactly what a personalised number plate is, including all the necessary related documents you will need if you’re thinking of getting one. A personalised plate, otherwise known as a cherished number plate or cherished registration, is a vehicle registration number that is chosen and created by you. People tend to choose their initials and a special date, or a unique combination of letters and numbers that is personal to them and difficult to decode for other drivers on the road. While you never actually own the car during the leasing term, you may still want to add a personal number plate to make it feel as if it’s your own – but just remember that the finance company is the registered owner of the vehicle while you’re leasing it, so you must go through them if you want to personalise it [explained in more detail later on]. I don’t have a personalised plate, how do I get one? To get one, you’ll need to go on the Driver and Vehicle Licensing Agency’s website (DVLA), and after you have paid for your private plate, the DVLA will send you a Certificate of Entitlement (V750). This document is really important – it proves you own the number plate and you’ll need it when you transfer the private number to your car. Bear in mind that the V750 has an expiry date, so be sure to check and remember this. To take a personalised registration off your vehicle in order to transfer it onto another, you’ll need a Certificate of Retention (V778) – but more about that later. How Do I Add a Private Number Plate to My Leased Car? If you already have a private number plate and you’re leasing or buying a brand new car on finance, you can transfer it, usually without any problems. 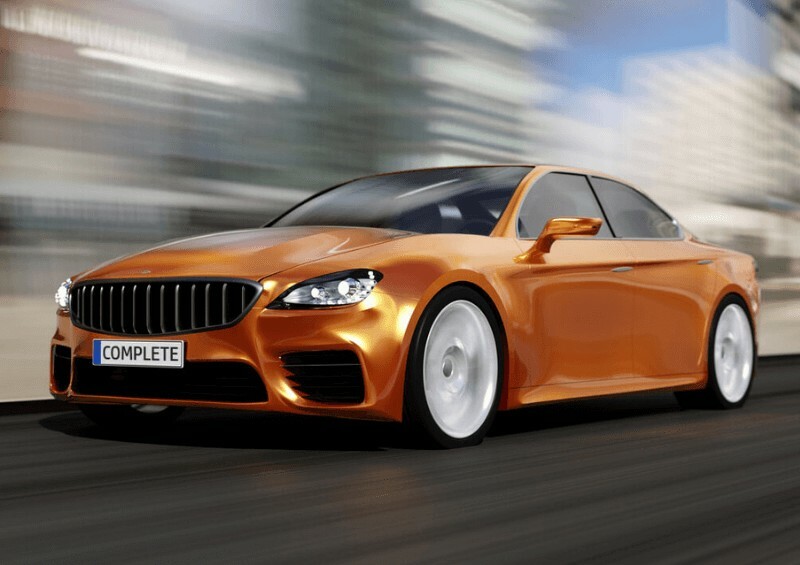 At Complete Leasing, we are unable to arrange the transferring of registration plates from car to car – it needs to be organised with the finance company, as they are the official owner of your contract hire vehicle. You will need to organise the private plate transfer directly with them yourself, but we are still able to give you advice on what you need to do, so don’t hesitate to ask us. If you would like to arrange for your private plate transfer before you receive your leased car, you’ll need to allow six to eight weeks beforehand. This will allow you plenty of time for the whole process of transferring your private number plate. If you leave it too late, then the delivery of your new car is likely to be delayed. Before your lease vehicle arrives, make sure you put your private plate on retention and receive a retention certificate from the DVLA. Private Plate Retention: What is it? If you already have a private registration plate, it must be removed from the vehicle it’s currently on if you want to put it on your new leased car before it is delivered to you. To do this, you must apply to take the private number plates off first, which can be done online through GOV.UK, on their page Private (Personalised) Number Plates: Take a private number off a vehicle, or you can do it by post. You’ll need the car’s log book (V5C) and you’ll have to pay £80 – more detail can be found on the link provided. After you’ve taken the private number off the vehicle, you’ll receive a new V5C (this can take four to six weeks to be sent to you) and a retention document, or more formally known as a Certificate of Retention (V778). You’ll only receive this if the private plate is in your name; if it’s in someone else’s, it will go to them. This number plate retention document is legal proof that you are entitled to assign the cherished registration to another vehicle and lasts for the next 10 years. The DVLA will then send it back to you with all the new details on, and then you will need to pass this on to the finance provider. More detail on this can be found on GOV.UK. There is quite a bit of back and forth between you, the finance company and the DVLA, which is why you need to allow between six to eight weeks to get it all sorted – we recommend eight weeks to be safe and to make sure your car is delivered on time. Due to the fact that a private plate transfer can take quite some time, the most common approach is to add it to the new leased car after it’s been delivered to you. This way, you don’t need to worry about your new car being delayed. When your car arrives, make sure you call the finance company as soon as possible and they will take you through the process of getting the private number plates transferred on. The finance company must be named as the ‘nominee’ on the Certificate of Entitlement (V750) – it is explained on that document how to do it. Alternatively, you can see what to do on the GOV.UK website. Next, a fee should be sent to the finance company, as well as the certificate and a cover letter stating that you want to transfer the plate onto the leased car. The finance funder will then let you know they’ve received it, and pass it all on to the DVLA who will process it all. You are not permitted to change the number plate until you have received all confirmation from the finance company and DVLA. After that, you’re good to go! Please note that depending on the finance company, the administration fees can differ, so be sure to check with yours for exact details and costs. Removing your private registration plate - What happens at the end of your lease contract? If you have private number plates on your leased car, you’ll need to have them removed before you hand the car back at the end of the contract. It’s vital that you do this around eight weeks before the term end-date, as it takes quite some time for it all to be processed with the finance company and the DVLA. Eight weeks before the end-date of your lease contract, contact the finance provider directly and they’ll inform you of what you need to send them. Once they’ve received all documents and information required from you, they will let you know by sending you a letter of acknowledgement. The finance company will arrange the transfer with the DVLA, and once that’s done, they will inform you so that you can go ahead and change the plates. All of this must be completed before you hand the car back. For any more information on what to do, just give your finance company a call and they’ll guide you through the whole process. Does a Private Number Plate Increase Your Insurance? With regards to car insurance, having a private number plate may affect your premiums. It does, however, depend on your car insurance company, as each one has different policies. For example, a personalised reg may be seen as a ‘car modification’ with some insurers and they may charge you a little extra, where others don’t treat it as one, so your premiums won’t be affected. In one way, there’s the possibility that it could make your premiums cheaper, as a unique registration number usually deters thieves due to the fact that it’s easier for the police to locate. It doesn’t always prevent cars from being stolen, however, so bare this in mind. If you do have a private number plate, make sure you have the right insurance in place, to make sure it’s properly covered – just in case it does get stolen or your car gets written off in an accident. Insurers calculate the cost of your insurance premiums based on a number of factors and often, a private number plate doesn’t have much of an effect - always check with your insurance company so you know exactly where you stand and what you are covered for. As you can see, putting a private reg on a new leased car can be done, but it does take several steps and a bit of back and fore between you, the finance company and the DVLA. If you want to discuss this or you would simply like more information, contact us today – we’re always happy to help! If you’re planning on leasing a car with us and you want to put your cherished plate onto your leased vehicle, then let us know straight away so that the process of transferring it can start as soon as possible to avoid any delays - we can let the finance company know when we process your lease deal. We have many great lease deals available on personal or business leasing contracts, with deals available for fleet customers too. Specialising in finance, we can also help you lease or buy a brand new car on Personal Contract Hire (PCH), Hire Purchase (HP) or Personal Contract Purchase (PCP). Feel free to browse our deals online, or get in touch now and we’ll help find you the perfect lease deal, or answer any questions you have regarding car leasing. We’re based in Swansea, Wales, but can also lease cars to those living in England!